Rice is usually exported from India to different countries around the world. In the past few years, there was a massive growth in the expert of rice from the country. With this growth, there are a lot of factors that could be cited such as the willingness of importers to purchase and the ability to sell. Other times, major importers and markets reduce their import because of internal economic issues. The awareness of people to basmati rice continues to spread among different parts of the society in abroad and in the country. This also possesses cooking, eating, digestive and grain qualities. This is the main reason why many people abroad and in the country developed the liking for it. Due to its quality, this is now the most liked for its premium value in international and national markets. There are also lots of choices for Basmati rice like Basmati-370, Taraori Basmati, Basmati Type-3. These have the same starch characteristics but these are usually based on their grain dimensions. These have also been favored by farmers, consumers and traders. These can also easily be digested and these are as mentioned, much preferred by consumers abroad and in India. This is another type of rice that is exported from India which is usually grown in Randhunipagal, Bhadshahbhog and Randhunipagal in West Bengal. Each of these varieties is purchased at such a higher price in the local markets. With regard to these varieties, these also have their localized preference and demand preference. Some of these rice types posses’ more than just aromas as compared to conventional basmati varieties. 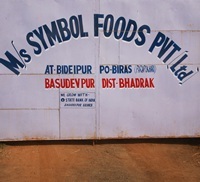 In addition to the Basmati Rice, non-basmati varieties have also been more commonly exported by India to other countries. These usually come in a form of PR 14, PR 106, PR11, IR14 and many other forms like steamed, milled raw, par-boiled, brown, sella- golden/white. Ponni varieties are also among those popular types of rice over a long-time, these have been widely cultivated in the state of Tamil Nadu in India and have been classified as a hybrid variety. Among those varieties of Ponni include Kalsar Ponni, Chella Ponni, Karnataka Ponni, Andra Ponni, Rice Ambai 16 and Swarna Masuri. These are usually packed in different packaging materials for safety purposes. With the different types of rice exported from India, it can be noted that the surge in the demand of rice is common. The cash flow in the export of rice helps improve the lives of Indian farmers, particularly those who live in Haryana, Punjab, Odisha, West Bengal and Jharkhand. With all these, India is still the premier exporter of rice, including Basmati rice to the global market. Among the major export destinations of rice from India are as follows; Iran, Kuwait, Iraq, Saudi Arabia and United Arab Emirates. They continue to strive and to comfort forth with the best products that meet the requirements of clients! If you are looking for high quality parboiled rice then, call us at 9938178394 or use our contact us page to write us. Countries Producing the Best Quality Rice in the World Where Does Singapore Import Rice From? Countries Importing Rice from India Buying Parboiled Rice in Bulk Can You Import Rice to Malaysia?